You probably know Lesser Gnome / +Zach Glazar from the Whisper & Venom Kickstarter. If you don't know Lesser Gnome, you've been missing out on some damn good gaming material. Today's RPGNow Deal of the Day is Lesser Gnome's stand alone adventure, The First Sentinel. 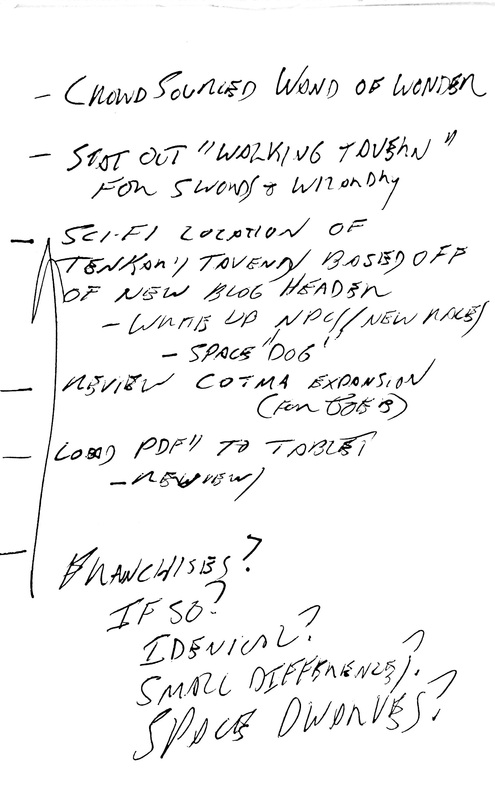 Clocking in at 28 pages, it can be had for a mere $2.80 until 1059 AM tomorrow morning. 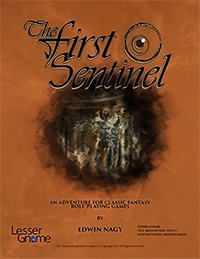 Lesser Gnome is pleased to announce the digital release The First Sentinel by Edwin Nagy. 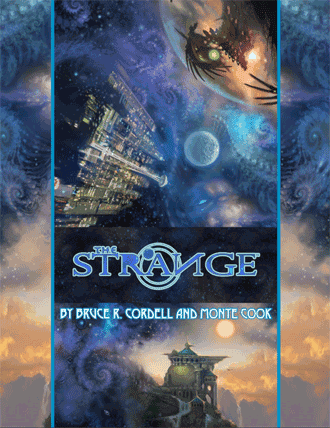 This digital release has piece of written content from the 2014 printed edition with a few extras PDF extras. With a completely new layout that designed to make the PDF more than just a printout on your screen it is meant for table-top use on a tablet or other devices. Separate text, art and vector layers. Hyperlinks to appendix entries and tables. Image buttons that link to illustrations for players. I've never had a bad thing to say about a Frog God Games Kickstarter. You always get value for your money (even if the buy in is typically higher than many gaming products) and they are generally on time or damn close to it. Traditionally, Frog God has offered it's Kickstarter releases in Swords & Wizardry and Pathfinder flavors, but recently they've added 5e to the mix. How can they do it at $35? The setting book is separate from the adventures book, which is another $35 if you want it. Keeping them as separate products allows one to only pay for what they need. 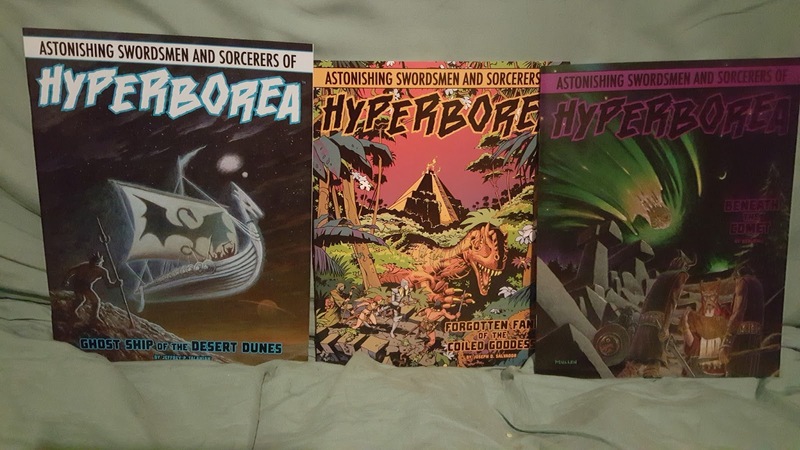 There are other add ons for the completists among us, but $35 for the Borderland Providences setting book in hard cover and PDF is damn exciting. 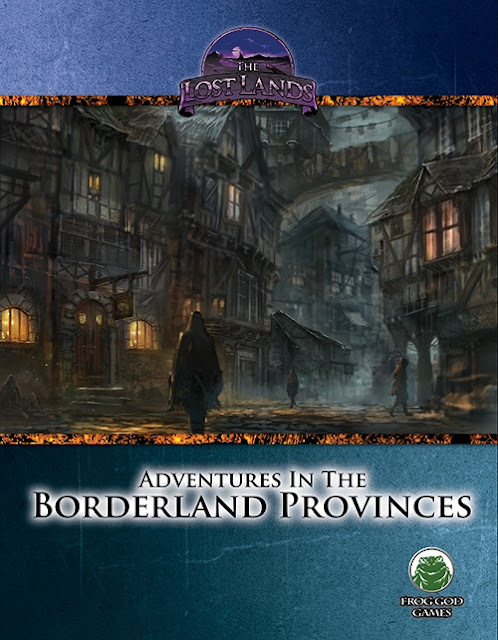 The central part of the Kickstarter is the Core Campaign Book for the Borderland Provinces, a complete guide for running campaigns here. There are also several additional resources that can be added to the campaign book to assemble an extended kit for sandbox adventuring and traveling through the wild and tumultuous realm of the Borderland Provinces. The main campaign book contains rich descriptions of countries, cities (some with individual maps), encounter tables for road and airborne travel, several individual lairs, historical background of the area, and much more. The Adventure Book provides a set of stand-alone adventures much larger than the lairs in the campaign book, and the Journey Generator is a resource for GMing free-form traveling adventures on the stone high-roads left behind by the ancient Hyperboreans. You can pick and choose what kinds of resources you want, and put together the kit you need for your particular kind of game. And that's not all! There are two player books to introduce the campaign to players in different ways, including a copy of the poster map (don't worry -- the secret locations aren't shown on it). 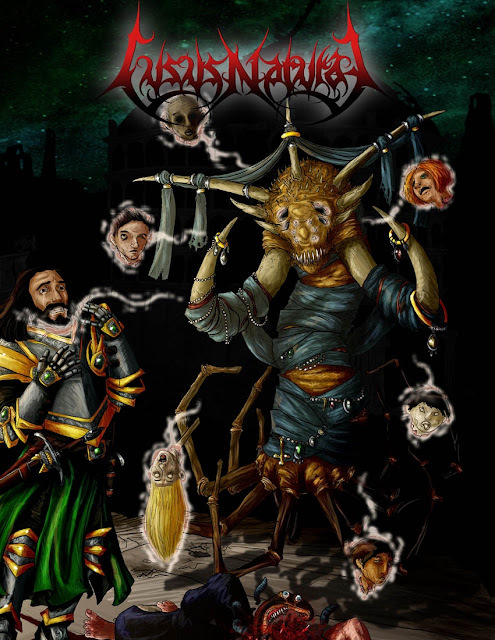 Plus, there's a free first-level adventure module, Rogues in Remballo, to let you get started right away! HALLOWEEN SALE: EVERYTHING MUST GO! From now until October 31st, all of my PDFs are pay-what-you-want. This includes Lusus Naturae, Teratic Tome, and the rest of it! No particular reason -- I just thought a Halloween sale sounded like fun! You want a PDF for free? Go for it, no problem! You want to get it for free, then maybe come back later and toss some coins into the open guitar case? I'll be here, strumming along. Yep, another Tavern Chat tonight. 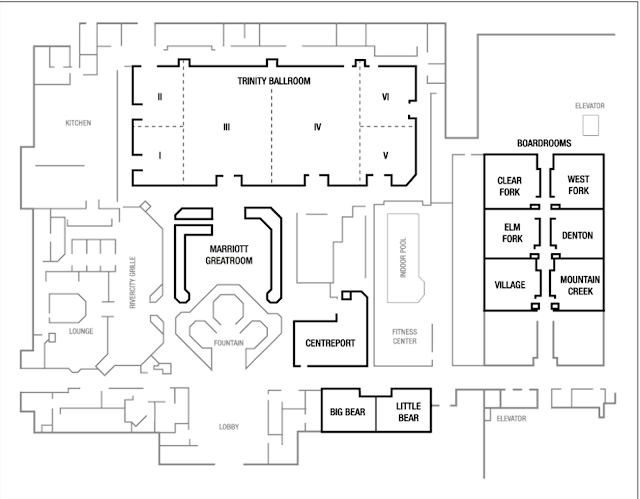 See the Trinity Ballroom? Lower left corner is Trinity I. We will have 2 vendor tables (which I expect will have business cards, flyers, bumper stickers - whatever) and 1 gaming table to schedule gaming around. I'm expecting some planned slots, some open slots. Need a corner that's away from the crowds? One of the vendor tables can be set up for podcasting. Sometimes the mind kicks in early. 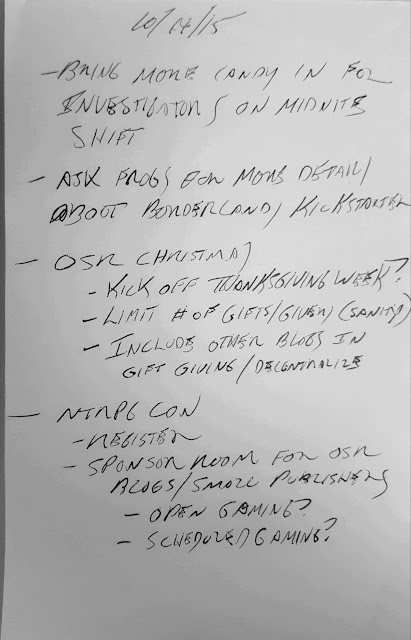 Any suggestions / wish list for OSR Christmas? I'm hoping to get other blogs involved in hosting giveaways. 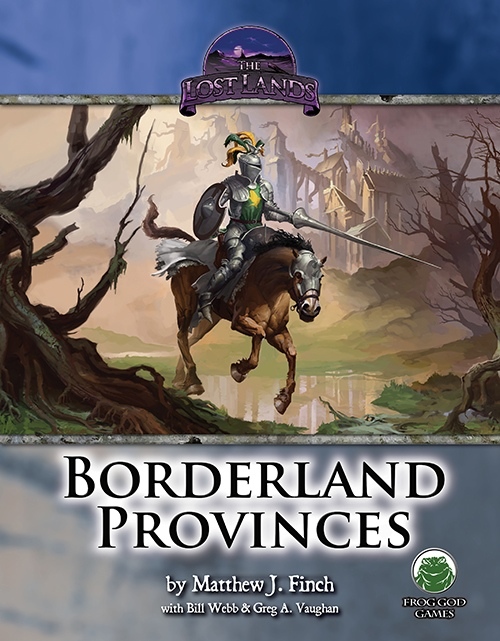 I just awoke from a 4 hour nap (as apposed to my 4 hours of sleep this morning) to an email from +Matt Finch explaining some of the details and pricing for the forthcoming Borderland Provinces Kickstarter from Frog God Games. 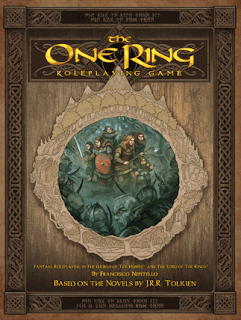 The basic buy in price point is 12 bucks in PDF. Let that sink in for a bit. Yes, you did read that right. 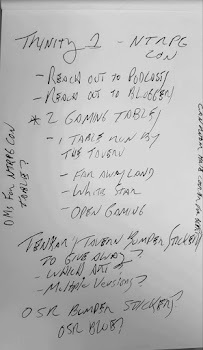 You can start a Borderland Provinces campaign on a $12 budget if your goal is just to have basic information about what's around Rappan Athuk and the other major locations. 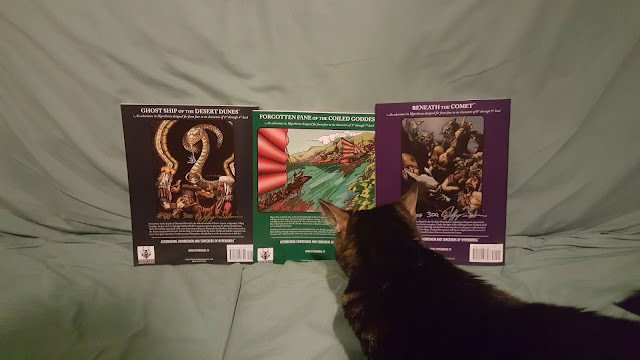 By getting the pdf Player Guide and Gazeteer, which comes with a pdf of the poster map, you're all set for that type of bare-bones campaign if you're a DIY game master who doesn't plan on using encounter tables, secret GM information, lairs, etc. The Player Gazeteer gives basic descriptions of the map locations, enough to work with if you're a build-it-yourself Game Master. And since the campaign also comes with a free adventure, Rogues in Remballo, you have a pretty complete set of resources to work with. A library-quality hardcover of the GM campaign book is only $35 plus shipping, and it comes with the poster map of the region (and free PDFs). This contains all the information we mentioned that's not in the Player Gazeteer. Also available just in pdf, of course. 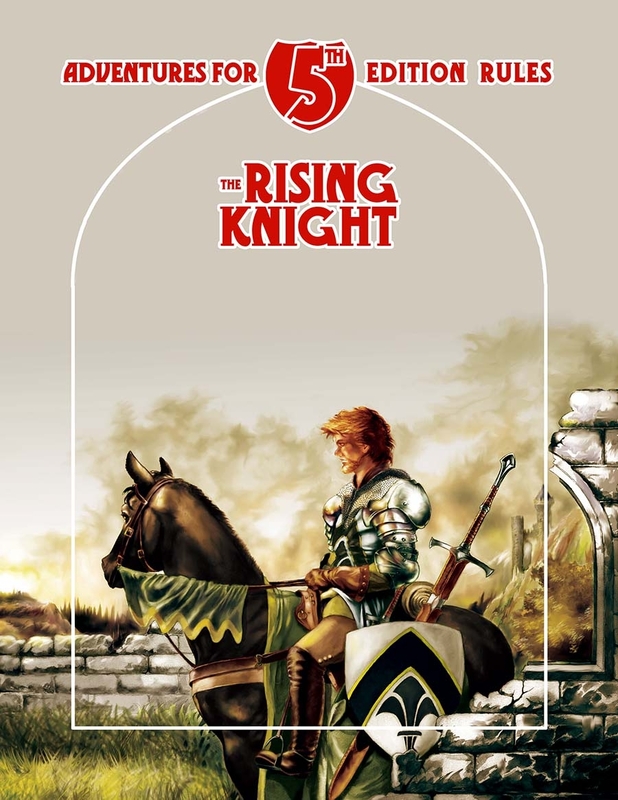 An extensive pick-and-choose set of additional resources is where the Kickstarter gets fun, and where you can assemble whatever additional elements you want to supplement your core book, creating an extended "kit" tailored to the way you run your games. The main one is a hardcover book of seven brand-new, full-length adventures, called "Adventures in the Borderland Provinces," which gives you an instant starting point for general campaigning. 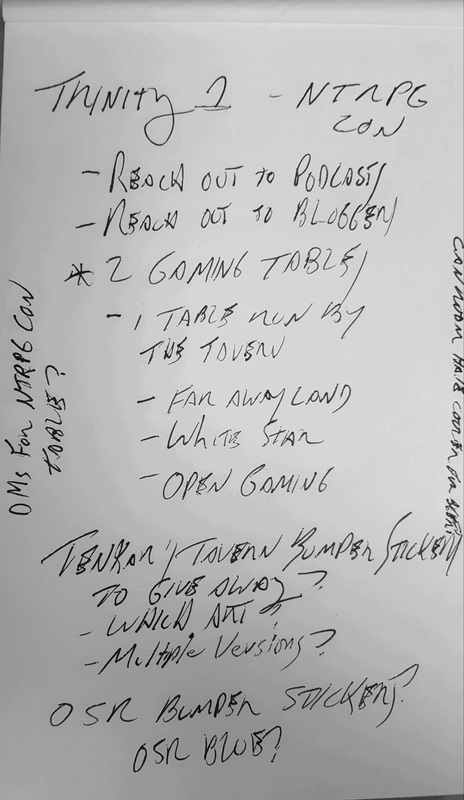 Plus, there's the above-mentioned Player Gazeteer, a Player Guide, a book we call the "Journey Generator," and lots more. None of these are necessary for play, but all are excellent supplemental resources to add.